Ali MacGraws favorite Peckinpah film. that a lot of Directors coming from the theatre weren't capable of. others too. THat scene on the staircase is easily one of Peckinpah's best. A wonderful moving piece of art. the film didn't make any money, which lowered its importness to Steve). I mean, it somehow doesn't surprise me, but then again I'm the one who always says that in most cases the less you know about various actors/directors and their opinions concerning whatever, the easier it is to just look at their work for what it really is. That's a very interesting point, Mike, and now that you mention it, I have to say that JB does resemble a Williams play. As I don't care for Williams, that's probably why I'm ambivalent about the film. I'd say the rodeo stuff makes the material more palatable--as does the presence of Ms. Leigh--and that such additions not only improve matters but put P's brand squarely on the work. Williams is less interesting, to my way of thinking, than a Williams-like-drama with Peckinpah touches. But it seems that best comparisons are made with earlier rodeo films, The Lusty Men, say, or of course, The Misfits. None of these is perfect, but on balance I think I like The Lusty Men the best of the three. As you say, JB isn't really about rodeo-ing, that's kind of tacked on, and The Misfits gets into trouble once the characters leave the rodeo behind. But The Lusty Men is first, middle, and last about being a rodeo rider--in fact, Mitchum's character dies with his boots on. Not that rodeo-ing is such an interesting subject in itself, but Ray knew how to invest it with significance, to make it seem a life-and-death proposition. And that's what I want in a "cowboy" story: all or nothing stakes. As you say, JB is a family drama, and The Misfits turns out, finally, to be a story about a couple; only The Lusty Men delivers as advertised, a tale about lusty men, men who, through their actions, keep death at bay just long enough to demonstrate some dignity before the inevitable takes them. In machismo cinema, that's the big subject. And that certainly was the subject Peckinpah, in his better films, assayed. I like LUSTY MEN a lot. so was TIFFANY which works anyway on screen. it could have played anywhere (but not anytime). Provided "our times" refers to the human epoch, I have no trouble with that designation. Men are men, regardless of period. Men are mean, regardless of period. Ain't that the everlasting truth. Sam Peckinpah is best-remembered for the bloody mayhem of The Wild Bunch and Straw Dogs, which isn't entirely fair. Peckinpah was equally capable of low-key, thoughtful films. Ride the High Country has its share of gunplay but the elegiac and somber tone sticks in the memory. The Ballad of Cable Hogue's gentle romantic comedy is the complete opposite of The Wild Bunch's nihilism, even with Strother Martin and L.Q. Jones in supporting roles. Junior Bonner (1972) is Peckinpah's most down-to-earth film. A small-scale slice-of-life drama, it's far from Peckinpah's best work but still has plenty of modest charms. 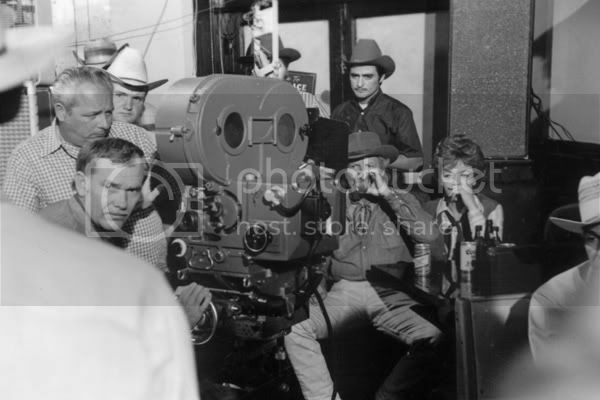 Junior Bonner (Steve McQueen) is a master rodeo cowboy who comes home to Prescott, Arizona after sustaining an injury riding Sunshine, a particularly nasty bull. He finds things changing for the worse: his brother Curly (Joe Don Baker) has gone into real estate, planning to sell the Bonner family estate for houses. His dad Ace (Robert Preston) is in the hospital, planning to move to Australia to mine gold, with long-suffering mom Elvira (Ida Lupino) threatening to leave him. 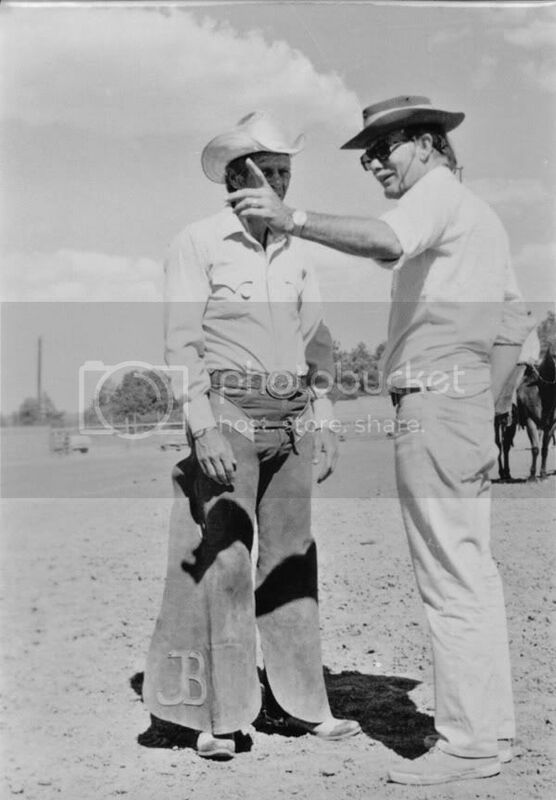 Junior looks for a rodeo manager (Ben Johnson) to let him have one more crack at Sunshine. Junior Bonner plays, fittingly enough, like a modern Western. The decline of the rodeo circuit allows for Peckinpah to indulge his thematic obsessions. Junior is less eloquent than Pike Bishop, angry at the changing world around him but unable to stop it; even his last "blaze of glory" achieves nothing. Peckinpah's themes of selling out are channelled in interesting ways, with Curly selling the family land and Ace looking for new horizons. 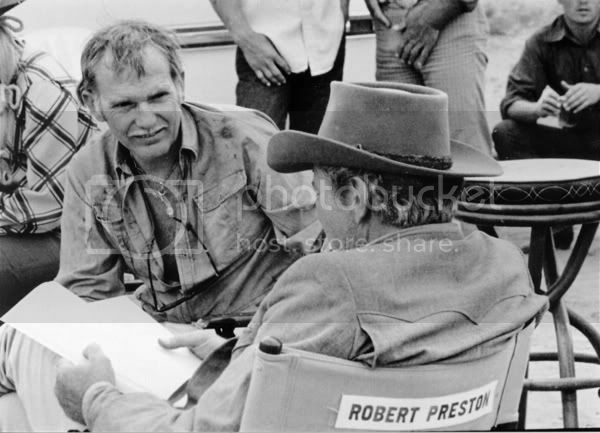 Peckinpah and writer Jeb Rosebrook eschew the usual cliche of the heroes fighting change. The protagonists know progress is inevitable and are too beaten-down to fight it. Peckinpah's direction is controlled and focused, allowing Lucien Ballard's photography to capture some beautiful scenery while remaining mostly down-to-earth. "Bloody Sam" incorporates his trademark slo-mo flourishes and rapid-editing style into a few scenes, with mixed results. The rodeo scenes make great use of it, but the bar room brawl mixed with a tender love scene comes off as forced. 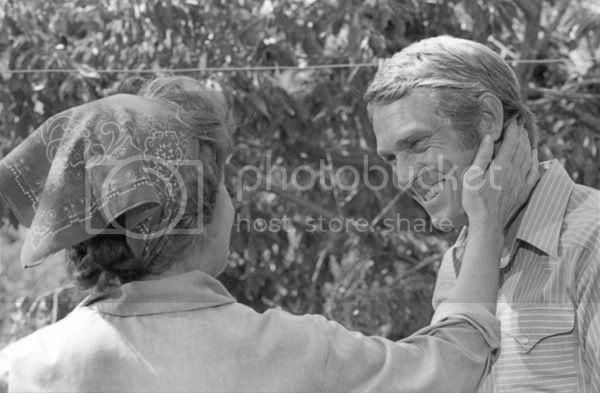 Steve McQueen does fine work, dialing down his persona for his quietly desperate protagonist. Robert Preston and Ida Lupino give excellent performances as Junior's weary, beaten-down parents. Joe Don Baker gives a fine performance, miles away from his embarrassing ham in Mitchell and Walking Tall. 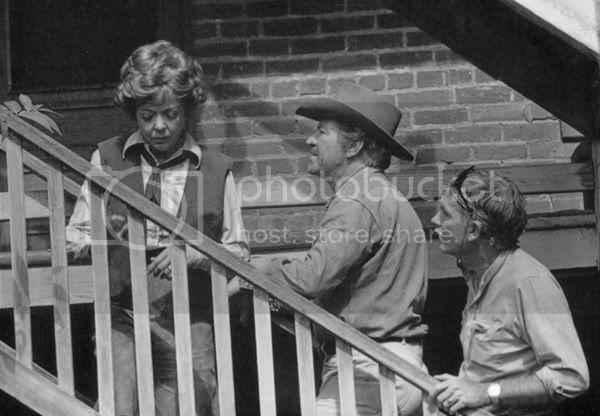 Bill McKinney (The Parallax View) has a small part, and Peckinpah regulars Ben Johnson and Dub Taylor pop up in supporting roles. Almost my opinion. Of course it is not a western. JR Bonner serves as the guide to show us the change parts of the American west was going through, selling out, the loss of the old values and how it affected family life. Rodeo life serving as the background. I think it is a masterpiece, but the brawl sequence is the weakest, that's for sure. Might have something to do with the fact that Sam was occasionally himself in fist-fights from time to time and he had a weak spot for brawls. Otherwise his great instinct for drama would have told him that the scene was not necessary. At least not such a fight-ballet. It is a film that works very well with women (favorite Sam film of Ali MacGraw and my girl as well), they don't expect 'A Peckinpah / McQueen Film' but just enjoy the subtle scenes and emotions Peckinpah got out of his actors. Preston & Lupino make 50% of the picture. Both weren't in films for 10 years or so and it showed, they put everything into the film. Preston should have been nominated (like Holden), but to judge real quality isn't for everybody. One needs good antennas. No, I don't. In fact for me this is not a western, like Hud isn't. I posted it here because some people think it is. But moderators can remove it to another board it they think it fair. A modern Western? A Drama set in the West? Its almost like the debates over Film Noir whether you personaly emphasize the Visual, the Characters, or the Diegetic World the films take place in. Absolutely. This is the only time I've ever liked Preston (and Lupino is always good). Did find (thank God) many great ones - not better ones though.